Urge the school to put the statues back. Under the pretext of making everyone feel welcome and included, the Catholic Faith is slowly sidelined and excluded. Beautiful Catholic statues are locked up. I was shocked to hear how Catholic statues were expelled from your school, including one of Mary and the Baby Jesus. 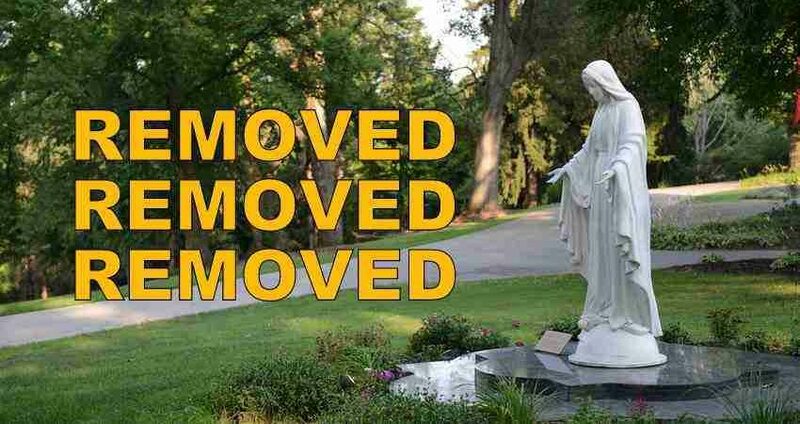 Please return the statues to their places of honor and don't allow radical secularism -- under the guise of "inclusion" -- to exclude God from your Catholic school or destroy beautiful expressions of the Faith.